Tokolinji Temple, my new home. Hello friends, my Mom sent me a Happy Easter email. I almost forgot, so I just wanted to say Happy Be-lated Easter to my Christian friends! Also, Happy early Birthday to Buddha for my Buddhist friends. I’ll be spending April 8th at Uniyama, which has a BIG celebration for Buddha. They dress up the whole town, I think even the castle! I’ll be going with my new friend Noriko-San. She is a retired traditional Japanese teacher. She knows everything about tea ceremonies, kimono set-up, and the history of traditional women. I am very lucky to have her as a tour guide! But what am I doing till then? Well, I’m living at Tokulinji Temple in Nagoya, Japan. I sleep with the staff and I help in the kitchen. I also play with the children. I wake up at 6:00am to help make hand-made noodles or bread for the monks or I just cut veggies/fruit. I have learned a lot about Japanese cooking these last 5 days! Since the monks are vegetarian, I have learned to make many vegetable dishes. People from all over Japan come to this temple to celebrate the week before Buddha’s b-day. They give food to Buddha or money for the temple as offerings. The monks lead activities throughout the day. There is 6:00am zazen (sitting meditation), 9:00am zazen, 10:00am ceremony to pray to Buddha, and 5:00pm zazen. The monks are also big permaculture people, so they have workshops between zazen to teach about sustainable living. Yesterday I made a composting toilet for the temple and 2 days before I made a Teepee for overwintering plants (but this temple uses it for their beehive). I mentioned my friends in my last post: Tamiko-San and Charlie-San. 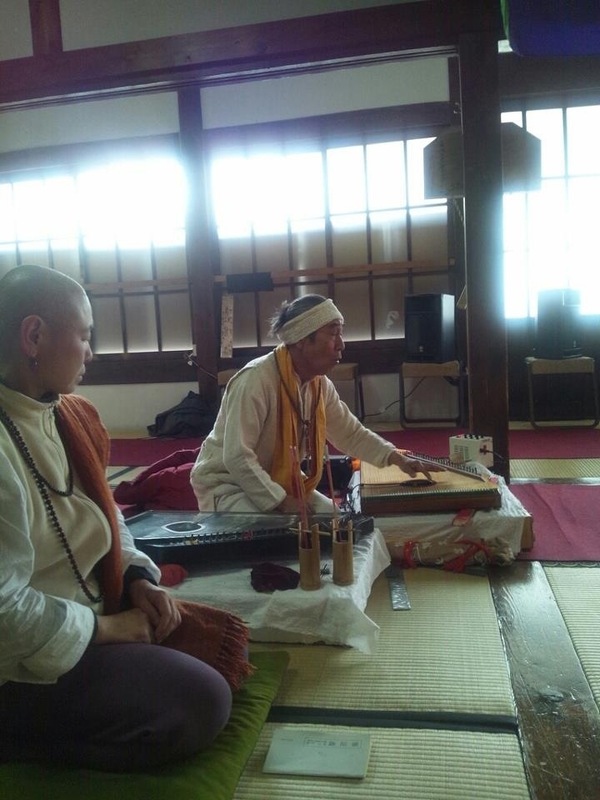 Tami-San is a monk and her husband, Charlie-San, is an Indian harpist. They were kind enough to bring me here and I am so happy they did. It is strange to say, but I feel so at home. This is Tami-San and Charlie-San. Charlie-San is performing for the visitors. When cooking is finished, I walk around the grounds and visit my new friends. One is Lin-San, a Chinese monk, who lives here to study under the head monk. Lin-San is the quintessential monk in my mind; he’s got the garb, the completely genuine smile, and he is very humble. He loves to speak Chinese with me and he shows me what fruits to eat from the trees. 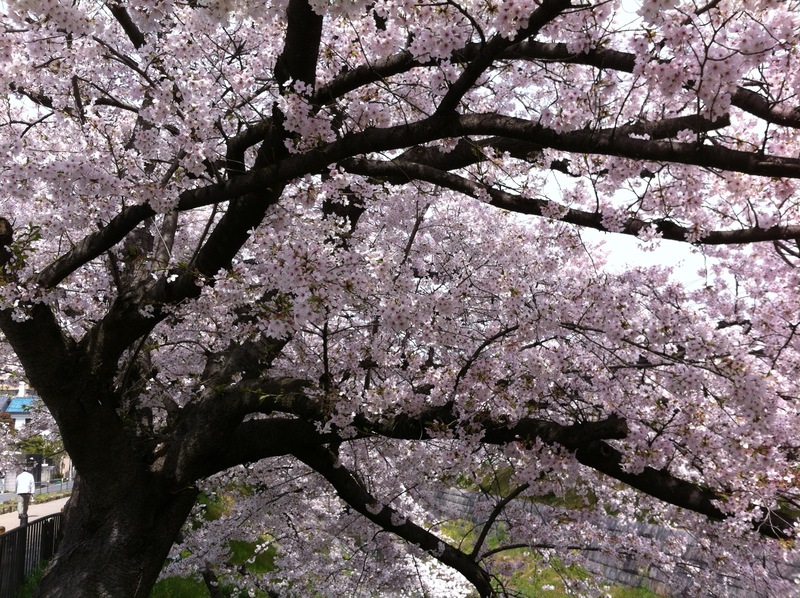 Hah, today I finished making lunch and was walking through the Sakura trees back to my room. 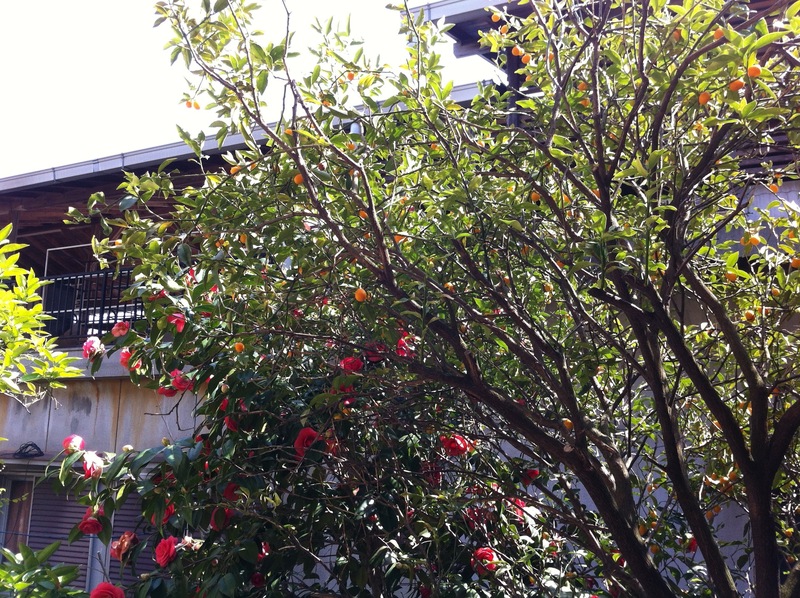 I bumped into Lin-San and he showed me that the trees outside my room have kumquats. So, we jump onto the railing and start picking kumquats, like 2 monkeys. We were laughing the whole time. It was awesome. I have another friend named Jun-San. He is studying to do acupuncture. He’ll be living in the temple for 3 years, taking classes, and helping out around the grounds. They are building a new housing area and he has been helping with that. Today he cleaned the beehive and we walked around the temple together (with our hands sticky from eating honeycomb!) He’s been kind enough to teach me some Japanese, while I teach him English. I have other friends, but I just wanted to say that my favorite person here is the head monk, Oshou-San. He is the most amazing person. He is so patient with the children (and me with my terrible Japanese), his laugh and smile can make the world brighter, and even though he is 78, he is as nimble as a cat, and teaches me many things (like gardening, Buddhism, building houses, and cooking). The children love him because he is still a child at heart. This evening I heard a sound in the bushes, I was startled to find 4 children and him, hiding, waiting for unsuspecting victims to scare. So cute, right?! Oshu-San has grown fond of me and has invited me to stay at the temple for as long as I want. I think I just found my new home away from home. Wowie Zowie, these Sakura are gorgeous!!!! 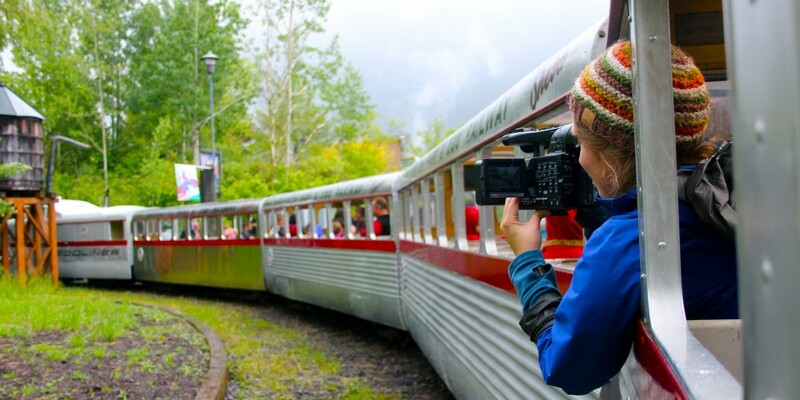 ← Azumino: A hike, many friends, and 2 Buddhist monks. Reading this article, I become to know why you come here,Tokurinji and the reason you are staying here for such a long time. I am pleased you have a “marvelous” relationship with members of this temple. I hope that someday you describe me with full “honesty”. Wow ! You met a monk who is from China. I think u can speak a lot of languages.Cool! Hey Hoong! I’m happy you like my blog. How did you find it? I’m curious. Tokurinji Temple is very welcoming and calming. If you visit, I think you will enjoy your time. I cannot promise that you can stay there because you must ask the head monk first. But, they have room and if you tell them you’ll work or cook or something, then maybe you can. I think you will make friend’s just fine. I recommend staying in hostels and Guest Houses. You’ll meet many travelers. I also recommend Couchsurfing.com. I met a few travelers from that site in Japan. 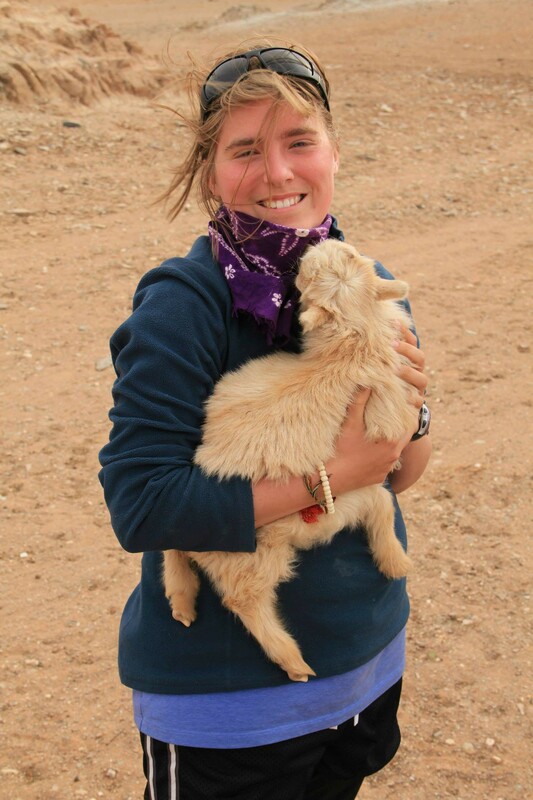 Lastly, if you want a Japanese experience, I recommend WWOOF Japan. You work and live with a Japanese family. It was a great experience for me. This looks like a really interesting place! I live just outside if Nagoya in Mie and I am looking for a good place to study meditation, yoga, etc. I speak English and Japanese. Would recommend this temple? Hey Cameron, nice to hear from you. I would recommend this temple to anyone who practices Buddhism or is interested in visiting a temple. There is one monk who regularly practices meditation, but I wouldn’t consider him a teacher. He studies and lives at the temple and practices meditation and yoga as a hobby. You should definitely visit during a holiday like the Sakura festival or other important days because the temple is full of people. Let me know if you have more questions.